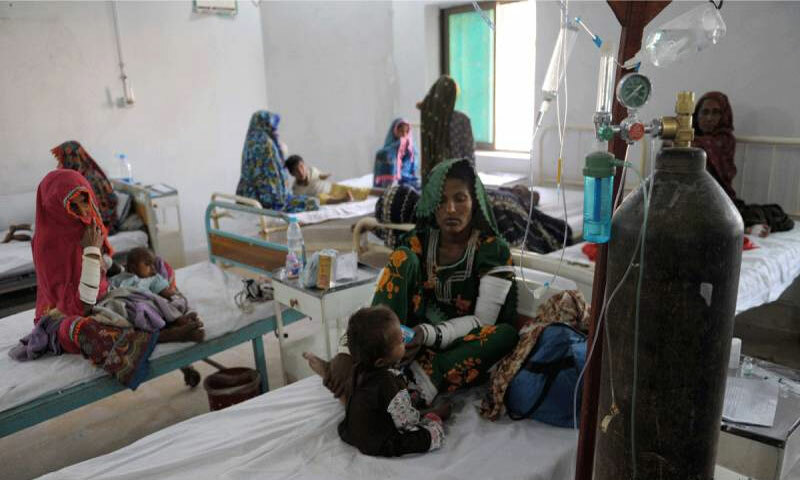 THARPARKAR (92 News) – Three more children died in Tharparkar due to drought and epidemic diseases triggering the death toll to 204 on Wednesday. Poverty, nutrition, preterm births, lack of awareness and drought are main reasons of the death of children in desert areas of Tharparkar. The District Headquarter Civil Hospital in Mithi serves about one million inhabitants of Thar, coming from villages and towns, large and small. There is a facility of 13 ventilators in Mithi Civil Hospital. Hundreds of people have migrated to Badin and other areas due to the inadequate measures of the Sindh government. Famine-struck people have demanded the government to announce a package for their ease.